Today will be a busy day for traders with 2 central bank rate decisions and US inflation data all due for release within a few hours of each other. The BoE monetary policy announcement will kick things off, followed shortly after by the ECB rate announcement and then, US CPI data. The central bank deluge in Europe will provide an indication of how keen the central banks are this side of the Atlantic to raise interest rates going forwards, whilst the US data will give an indication of how much pressure is on the Fed to continue hiking rates. 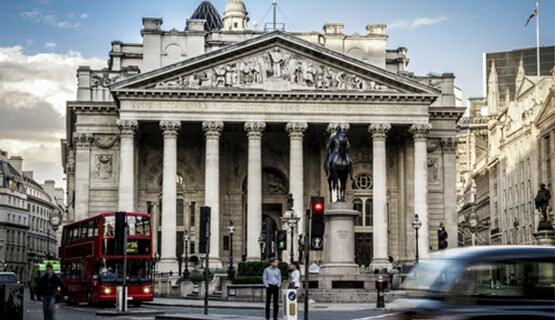 The BoE is not expected to change monetary policy given that it raised rates just 6 weeks ago in the August meeting. Therefore, the tone of the minutes and the statement will be of particular interest to traders. The central bank is expected to stick to its mantra of limited and gradual rate rises. However, with recent economic data printing as good as, if not better than expected, Brexit optimism on the up following signs and comments from the EU that a deal could happen in November, and market expectation particularly dovish with no hike fully priced in until the end of 2019, there could be room for a slightly more hawkish tone from the BoE. A slightly more positive BoE could see the pound target August’s high of $1.3145. Similarly, the ECB is not expected to alter monetary policy. However, there is a strong possibility that the ECB will look to lower growth forecasts after data from the region has generally surprised to the downside. The latest example of this being industrial production numbers in the previous session which showed a contraction of -0.8%, worse that than the -0.5% forecast. ECB Governor Draghi highlighted a concern over low inflation in the previous meeting and inflationary pressures have not picked up since then. Therefore, investors will be interested to see whether the low inflation concern has increased at the central bank. The Q&A session could produce some strong movements in the euro as Draghi is likely to be questioned on topics such as Italy and trade tension. Should growth forecasts be lowered we could expect the euro to take a hit. Whilst US wages data finally showed a decent pick up in August, pointing to an increase in inflationary pressure, the most recent US PPI, measuring inflation at wholesale level, disappointed. PPI in August registered the first decline in a year and a half on the back of stabilising oil prices over the past month and a stronger dollar. Prices at the petrol pumps and the stronger dollar could also weigh on inflation at a consumer level. CPI is expected to dip to 2.8% in August, down from 2.9% the previous month. Weakness in the CPI reading could see the dollar come under pressure. Oil has eased back early this morning after moving towards a 4 year high in the previous session. With Hurricane Florence heading towards the east coast, US oil production could be disturbed whilst fuel needs for a huge evacuation boosted demand. The start of the US hurricane season, in addition to the hit on Iran’s production which is due to start in November, could see oil well supported across the coming weeks.